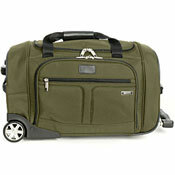 You can browse through B for Bag selection of carry on bags by type, brand, retailer and price. You can also search for a specific hand luggage by using the filters at the top of each category. 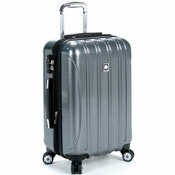 Wheeled hand luggage is very popular, not least among those travelling with carry on luggage only. Being able to wheel your bag around busy airports is very beneficial, especially if your bag is heavy. The wheeling system adds a little bit to the weight of the actual bag but the benefits easily outweigh the cons for most travelers. 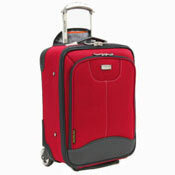 Spinners are very popular carry on luggage and it is easy to understand why. The 360-degree rotation spinner wheels allow you to pull, push and turn the bag in any direction with minimum effort. Duffels are great hand luggage due to their flexibility. You can get duffels in all shapes and sizes. You can get expandable duffels, wheeled duffels, sport duffels, leather duffels... or whatever types of duffel that best fits your travel needs. Backpacks are also popular cabin luggage, as it is convenient to carry them around. You can find backpacks in all shapes and sizes. 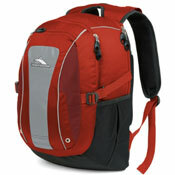 There are classic daypacks, stylish laptop bags, even wheeled backpacks, i.e. giving you the option to either wheel the bag or carry it on your back. Garment bags are great choice if you are travelling regularly with formal attire or long garments, like business suits or evening dresses. 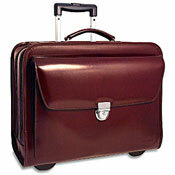 Garment bags are understandably very popular among frequent business travelers. The choice of laptop carry on bags is astounding, i.e. from practical mini offices on the move to stylish totes that you can discreetly fit a laptop in. You can really make a personal statement with your chosen laptop bag. 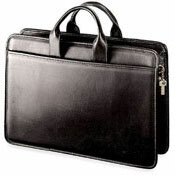 Traditional hand held briefcases are still popular by business people and students all over the world. 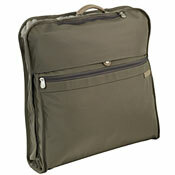 Most come with shoulder straps, which can be beneficial when the case is full of heavy books and papers.